Welcome to the Rose Blossom blog hop! 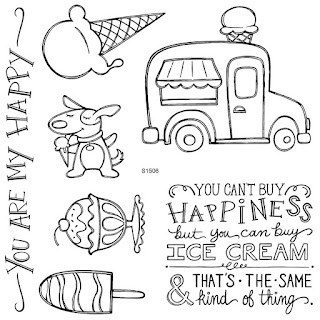 Today's the 1st of the month, so we are so excited to share this month's stamp of the month, Ice Cream Dream. I know when you see what the Rose Blossoms have created, you are going to want this set! I have fond memories of the ice cream truck. I grew up in the country, so we didn't have an ice cream truck. However, my dad worked in a creamery and brought home the BEST drumsticks home! So I guess you could say that old Ford was our ice cream truck ;) Now, we raised Shane in the city, so when he heard "that" song, he was off and running for bubble gum or cotton candy ice cream treats. So I've made you a pink ice cream cone using a Tender Pink shinhan marker. To color the truck: Light Blue for the truck, Tender Pink for the door, Leaf Green for the shade and wheels, Pastel Peach for the chrome on the truck, and Mahogany for the cone. I grabbed my glitz glitter gel from my stash for the cones, and I added texture to the background with the dots embossing folder. 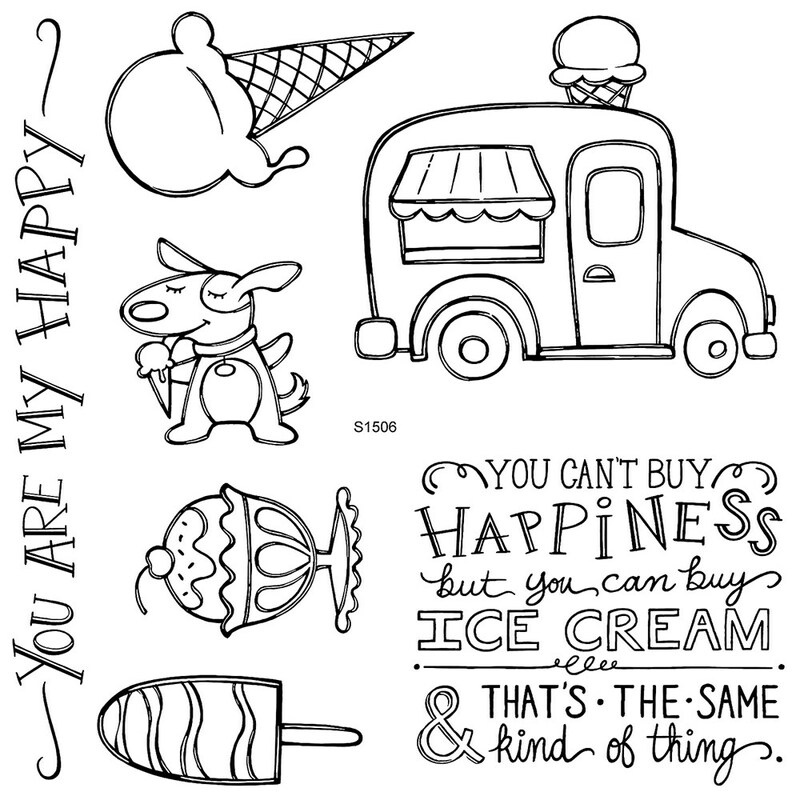 If you don't have any of the shinhan markers, why not give them a try this month with this stamp set? They are certainly fun to use!! Such a darling card Brenda. Love the Dot's embossing folder in the background. Lot's of cute details..your creations are always so fun to see. I am loving these colors together. That giant, triple scoop ice cream cones is so cool! I love all those extra touches of pink - the glitter, the dots and the twine; so pretty! How fun! Love the sparkles on the ice cream too! So many wonderful details. Just makes me smile! This color combination is dreamy and the big dotty embossed layer complements this set beautifully! What a beautiful card! Love the bright colors! The stacked cone is awesome! Your detail is always perfect! Those are my favorite colors I am loving how that all came together. This is just as cute as can be!!! FABULOUS...as always! Love the pink!!!! ADORABLE card! Love all the pink!